1. What is hello in Spanish? 2. What is good morning in Spanish? 5. How do you say you are welcome in Spanish? 6. 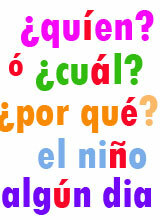 What is good afternoon in Spanish? 7. How do you say very well in Spanish? 8. What is goodbye in Spanish? 9. How do you say see you later in Spanish? 10. What is good night in Spanish? 11. How do you say please in Spanish? 12. How do you say thank you in Spanish? 13. What is thank you very much in Spanish? 14. How do you say can I help you in Spanish? 15. How do you say pleased to meet you in Spanish?